PARIS --- The Saudi government last week agreed to purchase a total of 142 helicopters from France, in a deal that will modernize its military helicopter fleet at a single stroke and that, together with additional contracts to follow, firmly establishes France as the kingdom’s main weapons supplier. 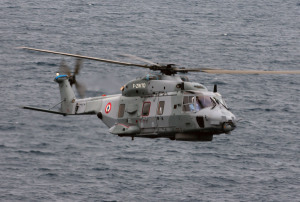 The helicopter contract, due to be signed with France’s Sofresa arms export agency, will cover 64 NH-90 battlefield helicopters; 20 Eurocopter Cougar utility helicopters in Combat Search and Rescue version; 42 Eurocopter Fennec light helicopters; four Panther naval Search and Rescue helicopters; and an initial batch of 12 Tiger attack helicopters. 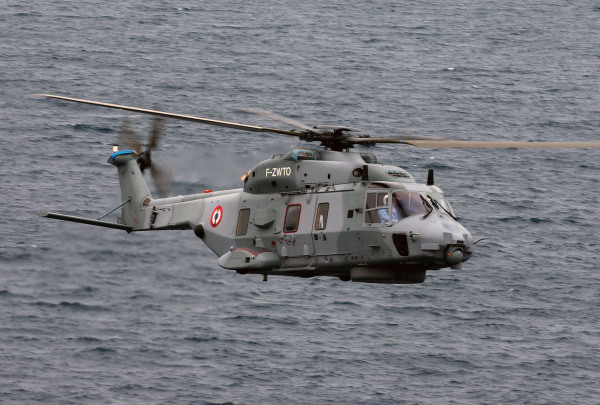 The NH-90s are made by NH Industries, a joint company in which France’s Eurocopter has a 62.5% share, while all other types are produced by Eurocopter. The contract also includes the provision of weapons, spare parts, training services and support equipment, as well as the construction of several helicopter bases, boosting its total value to well over 7 billion euros, sources say. It is the largest single arms export deal ever signed by France. The NH-90 order includes 10 naval NFH-90s for the Saudi navy; 42 TTH-90 battlefield helicopters for the Saudi Army and 12 more for the Saudi Arabian National Guard, while the Fennec order comprises 30 helicopters for the Saudi air force and 12 for the national guard. The 12 Tigers will be operated by the Saudi Arabian National Guard, which is to eventually procure a total of 36 or 48. A separate contract will cover an unspecified number of Airbus A330 aerial tankers, similar to the KC-30 that EADS, the corporate parent of both Airbus and Eurocopter, has offered to the US Air Force. In addition to the helicopters and tankers, contracts for which should be signed in the coming weeks, Saudi Arabia also plans to purchase Leclerc main battle tanks, French-Italian FREMM frigates and submarines in 2007 and 2008, while the possible purchase of Dassault Aviation Rafale combat aircraft is still being discussed. The French orders come as Saudi Arabia last week unexpectedly embarked on a huge weapon buying spree to substantially upgrade its armed forces. The first contract, announced July 21, covers the supply of 76 Caesar truck-mounted 155mm artillery pieces manufactured by France’s state-owned GIAT Industries, for a value estimated at several hundred million euros. The manufacturer, for whom this is both the largest Caesar contract to date and the largest export contract of the past decade, will confirm neither the customer nor the value. The previous day, the Pentagon formally notified Congress of its intention to sell 724 Light Armored Vehicles made by General Dynamics Land Systems, London, Ontario and related equipment (worth $5.8 billion) for the Saudi Arabian National Guard. A separate contract was also notified covering the sale of 24 Sikorsky UH-60L Black Hawk armed utility helicopters, worth $350 million, to the Royal Saudi Land Forces. These two contracts will be automatically approved unless Congress opposes them within 30 days. According to French spokesman Bonnafont, the additional contracts “will be finalized later, depending on the progress of bilateral discussions.” He confirmed that these talks will center on the acquisition by Saudi Arabia of Dassault Aviation Rafale combat aircraft and of Leclerc main battle tanks, made by GIAT Industries. The latter are intended to replace the obsolete AMX-30 tanks operated by the Saudi army’s so-called “French brigade,” and which were originally procured in the 1970s. At the time, British media reported that the related contract, initially covering 24 Typhoons with at least 48 more to follow, would be signed by June, but none has so far been announced. The French spokesman’s confirmation that a Rafale sale is being negotiated is a major advance for the French fighter, which formally entered French air force service in late June but which is still looking for its first export customer. It is not clear, however, whether Rafale would be procured instead of, or in addition to, the Typhoon. No indication has been given of the number of Rafales that Saudi Arabia would buy, but sources say an initial purchase would likely cover 48 aircraft. If confirmed, this would set the deal’s value at around 6 billion euros, including weapons, spares and support equipment. Saudi Arabia also has a relatively urgent requirement to replace her older coastal defense vessels (four Badr-class corvettes and nine Al Siddiq-class patrol boats) with much larger missile corvettes displacing around 2,000 tonnes. France’s DCN has offered its Gowind design for this requirement. A second naval requirement is for four to six French-Italian FREMM new-generation multi-purpose frigates to replace the older French-supplied Medina-class (Sawari I project) frigates. These frigates alone are valued at 3 billion euros. In the longer term, the Royal Saudi Navy would like to introduce a submarine flotilla comprising about six conventionally-powered attack submarines, for which DCN is offering its Marlin design, derived from the Scorpene submarine it developed jointly with Spain’s Navantia shipyards group. No value has been quoted for this project. French companies, along with contractors from China, Russia, the UK and the US, will compete for Saudi Arabia’s Miksa program, an ambitious border control network comprising up to 225 radar stations to monitor the kingdom’s ground borders, coasts and airspace. While this was negotiated directly with France’s Thales Group for several years, Saudi Arabia earlier this year decided to launch a competition; responses to its Request for Information are due in late August, to be followed by a Request for Proposals with a deadline of late December. The project’s value is estimated at 7 billion euros.